Babies are no doubt a blessing from God. The moment you come to know about that your baby has come in this beautiful world healthful and blooming, remains one of the most memorable memories for the rest of your life. However, life in world’s top busy business hubs like Dubai is not easy at all. The paper work starts the moment your child opens his or her eyes in this world. The most important document is, of course, the Baby’s Birth Certificate, which is a permanent and official record of your child’s existence. The children without a birth certificate in Dubai would not be able to claim the right to an official identity, a nationality or a recognized name. Getting a Birth Certificate in Dubai is not a complex process at all, as you can perform this obligatory duty within few simple steps. There is no need to rush to get the birth certificate right after the birth of your child. Have some patience and wait until your wife along with the new born baby has been discharged from the specific hospital. Note: Do not forget the maximum period to apply for your child’s birth certificate are 30 days in Dubai. Take advantage of the available days and finalize the name of your new born child before applying for the registration of birth certificate. Most of the hospitals in Dubai provide their customers with the copy of birth notification in Arabic, right on the day of discharge of mother and the new born baby. It is the responsibility of the specific hospital authorities to send the original notification of birth certificate to the UAE’s Ministry of Health. However, it is preferred that the parents of the new born baby should consult the Department of Preventative Medicine at Al Baraha Hospital (old Kuwaiti Hospital) and put forward the application for the birth certificate. Otherwise, you can fill out the Online Application Form. Within three working days from the date of submission of the birth certificate’s application, your request will be processed and you will be called to collect your baby’s Arabic Birth Certificate. The Arabic Birth Certificate of your child would have to be then translated into English version, keeping the international requirements in mind. Translation of the birth certificate into English is a simple and smooth process. Consult the Preventive Medicine Department at Al Baraha Hospital in Deira and get a hold of an application form from the Birth Certificate Office. Note: You will find this department very busy, so it is better to visit there early in the morning in order to get suitable parking. The translator at Al Baraha Hospital will type your application at the hospital. - The express charges for the Arabic Birth certificate and the English birth certificate are 650 AED. - AED 100 will be charged for additional copies of the Arabic and English versions along with the actual cost. - AED 50 will be charged for additional attestation plus the actual cost. Note: AED stands for the United Arab Emirates dirham, which is the currency of the United Arab Emirates (UAE). Both versions of your child’s Birth Certificates will be delivered within few days once you submit them along with the fees. The submitted certificates with normal attestation charges are delivered within three working days. On the other hand, the certificates with express attestation charges are delivered within 24 hours turn around. Note: The Birth Certificates with express attestation charges are processed on urgent basis. 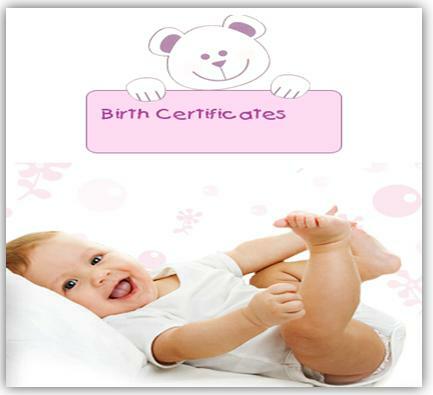 It is the time to celebrate as you have successfully got your child’s Birth Certificate in Dubai. Cheers!